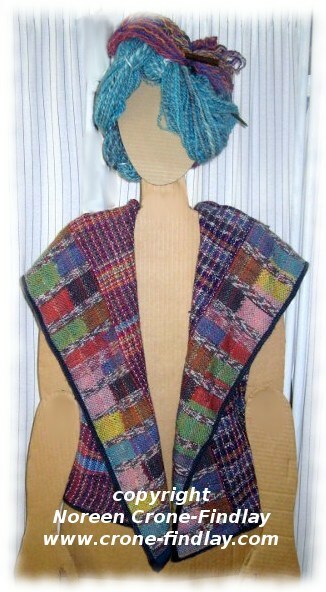 Several months ago, a young woman looked at my woven vests, and then asked if I could weave a vest with a hood on it. I’d never thought of that… but decided that it was a very good idea indeed! I’ve been mulling it over, and wove up some fabric for it. 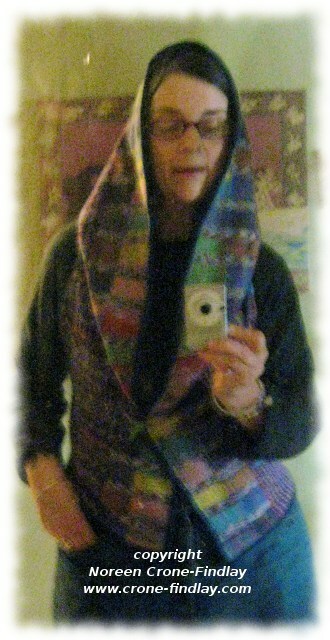 I wanted to add a narrow band that would go up the fronts and around the opening of the hood. 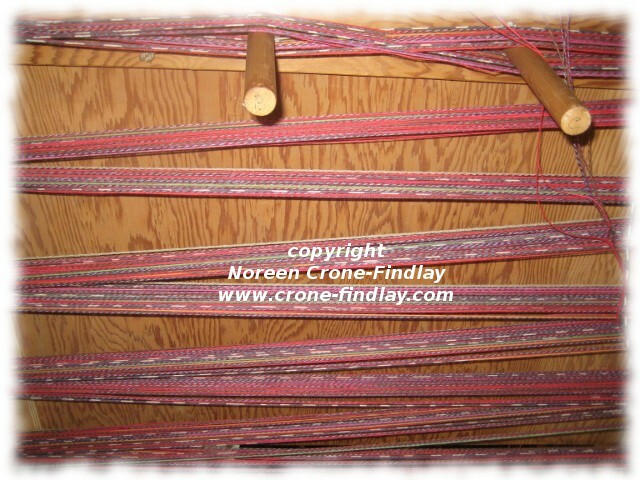 On the Saori group on Ravelry, there is an ongoing conversation about weaving with 7 warp strands. 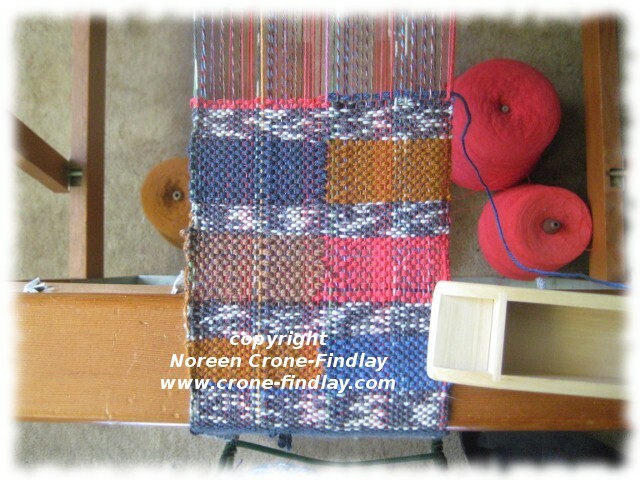 Because I love weaving little square motifs, I combined sock yarns, embroidery floss and various yarns and threads while weaving clasped weft technique. I wove the band on my Saori loom. 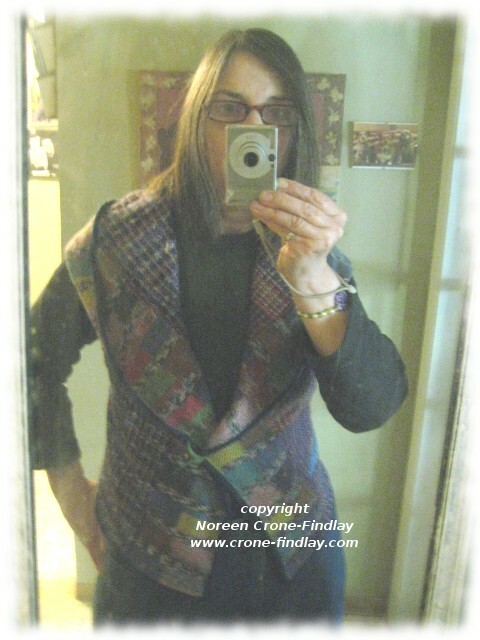 When I finished, the narrow band was just slightly short of 9 yards long. 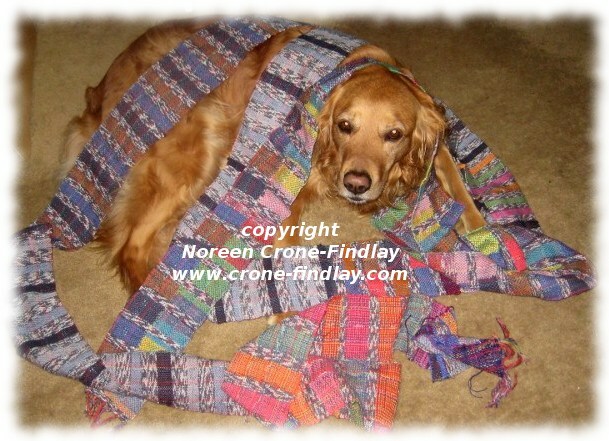 Golden retrievers are so gracious about modelling! When the hood is down, it gives a lovely shawl collar. I decided against stitching a button on, and just pin it closed. The navy blue edging is spool knitted cord. My newest video tutorial is all about how to weave geometric motifs on the peg or stick weaving loom. 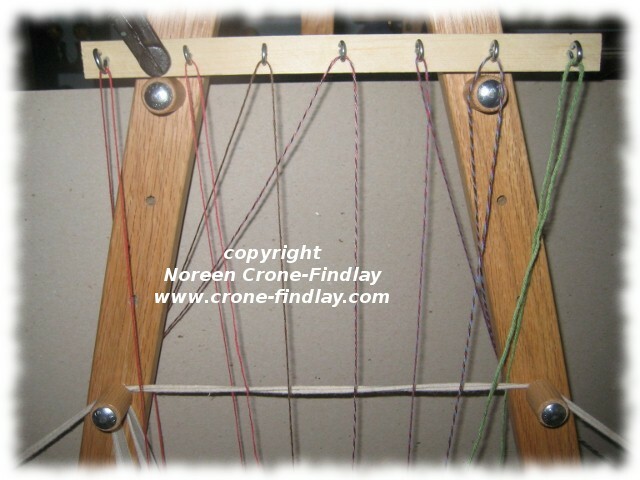 I use the gorgeous new Peg Loom from Dewberry Ridge looms. I asked Gary and Donna McFarland if they could build peg looms with some of my specifications in mind, they said yes. Gary outdid himself- the looms are incredibly beautiful. 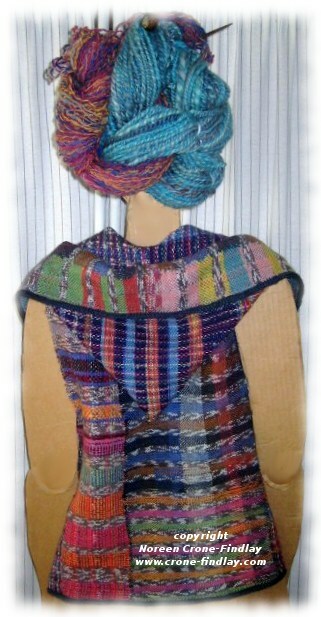 And wonderful to weave on.